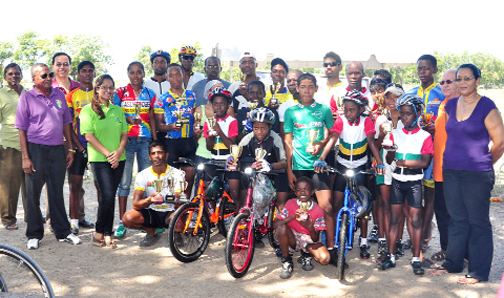 Junior Cyclist, Neil Reece of The Flying Ace cycling club delivered a top class performance to capture victory in the Mashramani cycle road race Sunday in New Amsterdam. 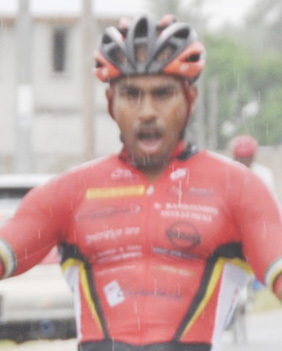 Cyclist Robin Persaud braved the rain to cross the finish line in first position when the Forbes Burnham 88th birth anniversary cycle road race ended yesterday morning at Carifesta Avenue. Junior cyclist Paul DeNobrega pulled off a stunning victory yesterday at the National Park when he out-sprinted a number of senior cyclists to win the 18th Annual Ricks and Sari Agro Industries Limited youth race programme. 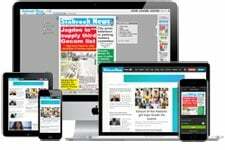 Cyclists will get a chance to put their racing skills to the test on the newly-resurfaced National Park Circuit today when the 18th Annual Ricks and Sari Agro Industries Limited Youth Programme pedals off from 9am. 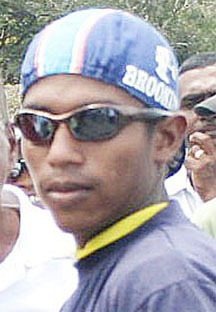 Linden’s Michael Anthony defeated Berbice’s number one junior cyclist Neil Reece when the Flying Ace Cycle Club of Berbice staged the second annual Dhansar Tulshi 40-mile cycle road race on Sunday. 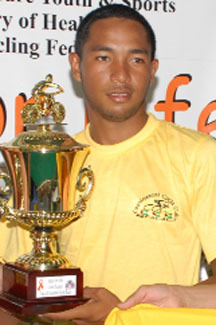 Fiery Essequibo pacer Ronsford Beaton is the lone new cap in a Guyana 13 man team named for the upcoming regional four–day tournament which bowls off next month. 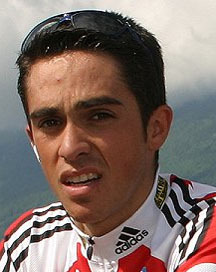 PARIS, (Reuters) – Cycling in 2010 was struck by a series of crises that threatened to wipe out most of its efforts to fight doping, with the sport’s two biggest names involved in scandals. 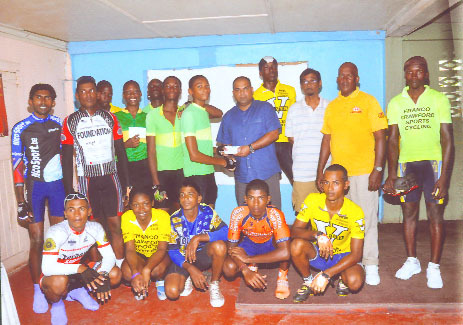 In a telephone interview with Stabroek Sport yesterday, national cycling coach, Hassan Mohamed said that the cycling season this year, which concluded with a cycle road race on November 28, was a good one. (Cricinfo) A brutal performance by Sri Lanka, handed Australia its first Twenty20 defeat at home as Tillakaratne Dilshan and Kumar Sangakkara thrust the tourists to a commanding seven-wicket victory. 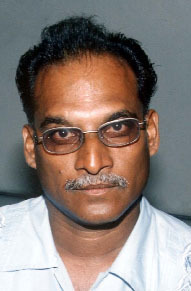 The ‘Ride for Life’ five-stage bicycle road race which is set to pedal off next Thursday is expected to be the “biggest ever”, according to Director of Sports Neil Kumar. 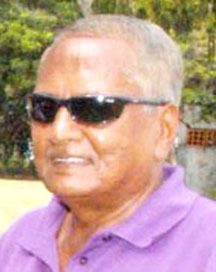 – GOA president underscores Guyana Olympic Association (GOA) President K Juman-Yassin believes that while there was improvement by local cyclists at the recently-concluded XIX Commonwealth Games in New Delhi, India, there needs to be greater collaboration between stakeholders to prepare them for international meets. Local cyclist, Geron Williams, who represented Guyana at the recent Commonwealth Games said yesterday that he is “in one way proud” of his performance at the Games, but yet “disappointed” because he feels he could’ve done better with more intense preparation. 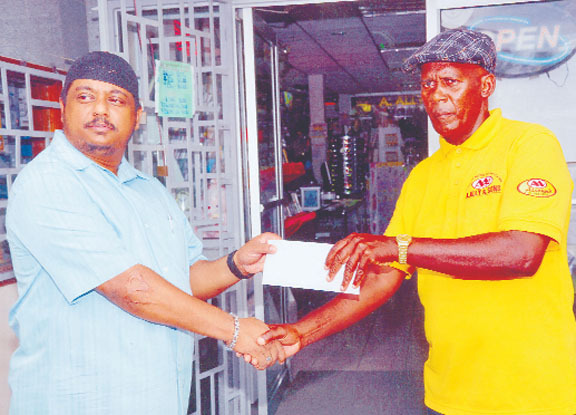 Eric Sankar has been putting out top performances at recent cycle race meets and he recorded another victory yesterday in the feature event of the 8th Annual Hand-in-Hand Fire and Life Insurance Company Limited 11-Race Cycle Programme around the inner circuit of the National Park. 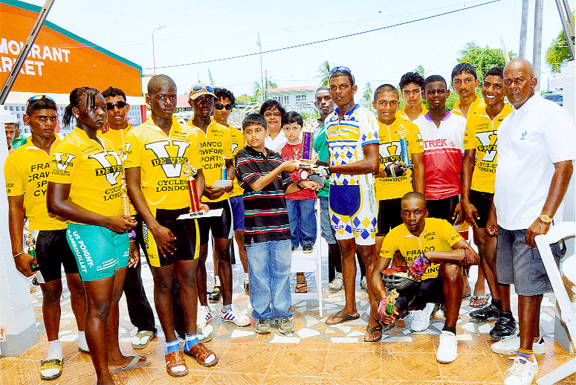 The Flying Ace Cycle Club of Berbice will run off the A. Ally and Sons General Store 12th annual cycle road race on Sunday. 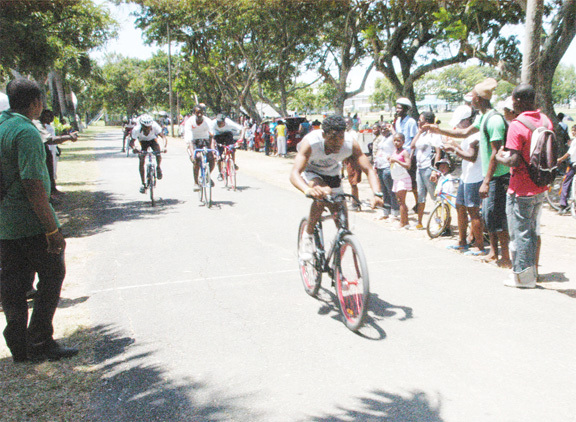 The National Park circuit comes alive once again this weekend with the staging of the 8th Annual Hand-in-Hand Fire and Life Insurance Company Limited 11-Race Cycle Programme tomorrow. 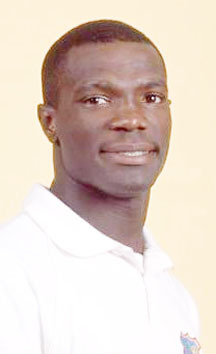 Guyana ended the XIX Commonwealth Games in New Delhi, India, with one medal and on another disappointing note after cyclist Marlon ‘Fishy’ Williams finished 33rd in the Men’s Individual Time Trials yesterday on the Noida Expressway. 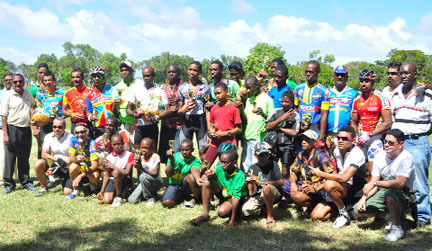 Tutorial High and Queenstown Secondary Schools each rode away with seven wins in the cycling events of the East Georgetown Inter-School Championships held last week around the inner circuit of the National Park. 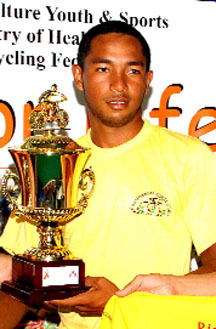 With a time of two hours and 10 minutes Wazim Hasmoo rode away with the first place in the 50-mile Mr and Mrs Ramsarran Singh Memorial Cycle Road Race that was held last week Sunday in Berbice.